Ara Darzi is one of the world’s leading surgeons at Imperial College London. Ara Darzi was born in Iraq, to Armenian parents displaced by the 1915 genocide. The family later emigrated to Ireland. In 2003 he became a British citizen. 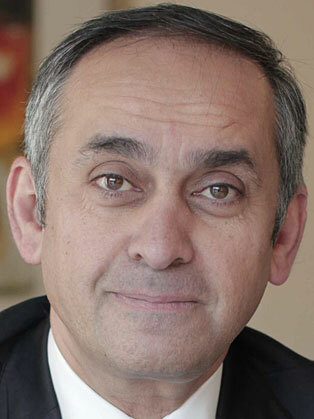 Professor Darzi was knighted by the Queen as a Knight Commander of the most excellent Order of the British Empire (KBE) in December 2002 for his 'services to medicine and surgery'. In June 2007 he was appointed Parliamentary Under-Secretary at the Department of Health by Gordon Brown. Professor Lord Ara Darzi studied medicine in Ireland and qualified from the Royal College of Surgeons. He obtained his fellowship in Surgery from the Royal College of Surgeons in Ireland and a M.D. from Trinity College, Dublin. He was subsequently granted the fellowships of the Royal College of Surgeons of England, The American College of Surgeons, the Royal College of Surgeons and Physicians of Glasgow and of the Royal College of Surgeons of Edinburgh. More recently he was awarded fellowship of the Academy of Medical Sciences and City and Guilds of London Institute and an honorary fellowship of the Royal Academy of Engineering. Professor Darzi made rapid progress in the profession. He worked at the Central Middlesex Hospital and was involved in the development of its pioneering ambulatory care centre. He holds the Chair of Surgery Imperial College London where he is head of the Division of Surgery, Oncology, Reproductive Biology and Anaesthetics. Professor Darzi's main clinical and academic interest is in minimal invasive therapy, including imaging and biological research together with investigating methods to measure core competencies of surgery. He has published widely in the field of minimally invasive therapy. In the past he has been a Hunterian Professor of the Royal College of Surgeons of England and the James the IV travelling fellow for 1999/2000. Professor Darzi and his team are internationally known for their work in the advancement of minimal invasive surgery and in the development and use of allied technologies including surgical robots and image-guided surgery. Professor Darzi actively pursues the need for improved inter-disciplinary research with a closer integration of information technology, biotechnology and physical sciences. He leads a team of researchers engaged in a number of fundamental research issues related to the future development of minimally invasive surgery as well as covering a wide spectrum of engineering and basic sciences research topics encompassing Medical Image Computing, Biomedical Engineering, Clinical Safety, Robotics, Man-Machine Interfacing, Virtual/Augmented Reality and Bio-Medical Simulation. Professor Darzi's politics are to the left and he has long established contacts with Labour. Long before becoming a Labour minister, he was on the NHS Modernisation Board, advised the government on Modernising the NHS and became advisor in surgery to the Department of Health. He chaired the London NHS Modernisation Review and was asked to examine the reconfiguration of health services in London,. NHS London (The Strategic Health Authority) having asked him to develop a strategy called A Framework for Action to meet Londoners’ health needs over the next five to ten years. He published the national guidelines for day care surgery and in his role as Chair of the National Centre for Innovations in Elective Care was involved in setting the future model of Diagnostic Treatment Centres.